Real people's histories – not just those of celebrities – deserve to be told. Such slices of 'ordinary' life reveal hidden histories. 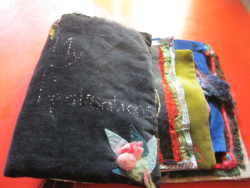 Make a rag book of your story. Tell it wordlessly in textiles. Create subjective maps of places in your past. Or represent your life as a map. One of the best workshops I ever did with Manchester's Transforum, where people tried to draw their life as a Metro system, with its tiny branch lines and major termini. What's your circle line called? 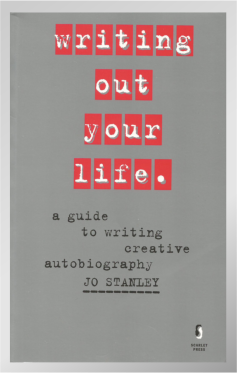 Contact me [j_v_stanley@hotmail.com] if you want me to lead a workshop on creative lifestorying, or to give you news of my next one. Use me as a consultant by phone, by the hour [j_v_stanley@hotmail.com]. I'm experienced with all levels of ability, having taught lifestory writing at Bradford and Leeds Universities and at leisure classes in London, Cumberland and Scotland. Look at really innovative creators like Solveig Gott and Christian Nold. Use The Oral History Society if you are doing Oral history.